Perumal Venkatesan aka PeeVee is a people photographer and creative entrepreneur based in Bangalore, India. 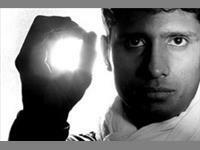 His photography works have been published in various Indian and International media. His work has also been exhibited at art galleries across India. • Responsible for the design and development of a Pan-India Photo Contest named "Frames of My City" in 2011/12, and self-published a crowd sourced book on the same name. • An experience of organizing more than 300 photowalks across India. • Worked with a team of photographers for INTACH to crowdsource and produce a series of postcards named "Portraits of Bangalore" for INTACH in 2009. • Co-directed a documentary film named “Bangalore Lake Diaries” which celebrates the importance of conservation of Bangalore Lakes. • The Beauty & The Grit Dance Photography Workshop by STEM dance Kampni in association with JAAGA, mentored by the International dance artistes Roy Campbell-Moore and Ann Sholem. • Named by Timeout Bengaluru (a global lifestyle magazine as "One of the 13 local heroes for culture in Bangalore", for his contribution to photography. • Was invited to present "Crowd Sourcing in Creative Entrepreneurship" at The Asia Entrepreneurship Summit 2012 at ITC Gardenia, Bangalore. • Worked with several MNC clients, including Bosch, Infosys, Intel Semiconductor, Starbucks and Yahoo.